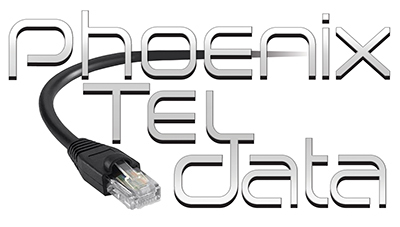 Phoenix Tel Data installs and supports both analog and Ethernet-based surveillance systems. To support legacy analog systems, we recommend cameras and DVRs from Pelco. Take a look at some of their product here. In recent years, the market has shifted towards Ethernet, or IP-based surveillance systems. We recommend IP-based surveillance systems from Ubiquity. Take a look at some of their featured products below, and visit their Website here. or integrate it seamlessly into any corner, wall, or ceiling. Super-fast 2.4 GHz and 5 GHz wireless for streaming HD video. At $99 USD MSRP, the UVC Micro offers an unprecedented combination of value and industrial-design innovation. Great for day or night surveillance, the UniFi Video Camera Micro includes infrared LEDs with automatic IR cut filter. The UniFi Video Camera Micro has a built-in microphone and speaker. The UniFi® Video Camera is part of the UniFi Video surveillance management system. It records 720p HD video, day or night, indoors or outdoors. Great for day or night surveillance, the UniFi® Video Camera includes infrared LEDs with automatic IR cut filter. Featuring a durable enclosure, the UniFi® Video Camera is designed for use indoors or outdoors under an overhang. The UniFi® Video Camera Dome is part of the UniFi Video surveillance management system. It records 720p HD video, day or night, indoors. Great for day or night surveillance, the UniFi® Video Camera Dome includes infrared LEDs with automatic IR cut filter. Designed for indoor use, the UniFi® Video Camera Dome discreetly integrates into any ceiling surface. but also can be used indoors. It can be mounted quickly on a pole, wall or ceiling. The UniFi® Video Camera PRO features a motorized, 3x optical zoom for clear, up-close video without the distortion of digital zoom. The UVC-Pro-M is a large pole-mount accessory that can accommodate poles up to 160 mm wide and mounts one or two UniFi® Video Camera PRO devices on a single pole. The UniFi® NVR is pre-installed with UniFi Video software for quick and easy deployment. It manages the UniFi Video Cameras and records video according to rules set up in the software. The UniFi® NVR readily manages and records video from up to 50 cameras. The UniFi® NVR features a setup wizard for easy configuration. Its pre-installed UniFi Video software automatically detects cameras for rapid deployment. The UniFi® NVR supports cameras installed at multiple locations. The UniFi® Video software features an advanced UI and extensive feature set, including custom motion detection zones, event recordings, email alerts, live view monitoring, disk management and analytics.